London Metropolitan Police questioned singer Amy Winehouse over a video that seems to show her smoking crack cocaine. 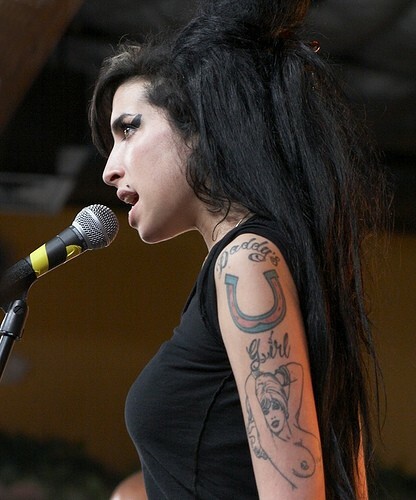 January video stills released in the UK in The Sun, a tabloid newspaper, proved the catalyst that sent troubled British singer Amy Winehouse into rehab only days later. Now out of medical care, on Wednesday, police arrested the singer over those same video shots that seem to show her smoking crack cocaine at a party at her home. Winehouse was questioned for hours by London Metropolitan Police, before released on bail. According to her spokesperson, Chris Goodman, Winehouse was cooperative and answered all police questions. The singer, famous for her hit single "Rehab" was also cautioned by police last month for slapping a man during a night out. Under British law, her release on bail means that no charges were formally filed, but that police are free to recall the singer for further questioning at any time.